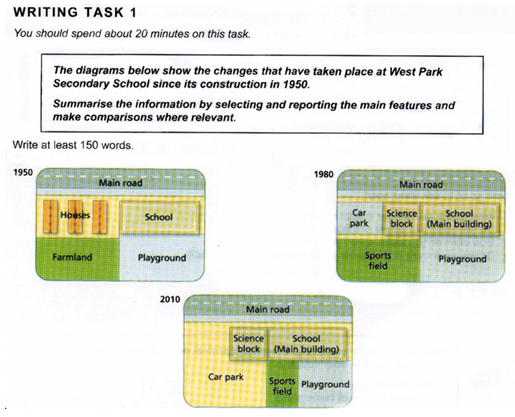 The diagrams show West Part School at three different stages in its development: 1950, 1980 and 2010. In 1950, the school was built close to a main road and next to a number of houses. A large area behind the school was turned into a playground, while the area behind the houses was farmland. By 1980, the houses had been demolished in order to make way for a small car park and an additional school building, which became the science block. In addition to the existing playground, the school also gained the farmland and converted it into a sports field. In 2010, the school building remained unchanged but the car park was extended to cover the entire sports field. As a result of this, the original playground was divided into two so that it provided a smaller playground and a small sports field. 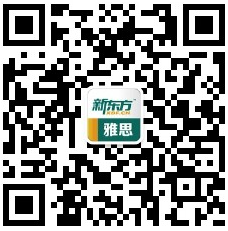 During this period, the school has increased in size and a car park has been created and enlarged. 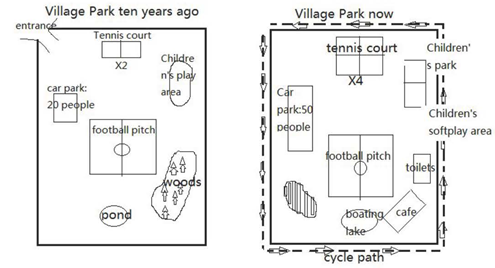 The combined recreational areas, however, first expanded and were then reduced in size. The maps given compare the current layout of a college with its plan in 2015. At present, to the north of the rectangular campus there is a garden opposite to the entrance. Along the west wall lie a footpath and a car park and the south a bus stop. Inside, two classrooms in the south and a bigger one in the northeastern corner can be found, on the south of which the reception and the library are sited. Not mentioned are the seemingly open area for lunch in the northwestern and the toilets in the south. The college in 2015 is expected to demonstrate many differences including its extended length, along with which the car park will also expand its size. The garden and the footpath will vanish while a shop will be introduced inside. Noticeably, the entrance and the toilets will exchange their places, with the former directly leading to an oval reception. Likewise, the library of a shrunk size will be moved to the southwestern corner where a classroom lies now. Along the east wall four classrooms will be located. Despite the differences, that all the facilities are built immediately adjacent to each other and against the wall will remain consistent. 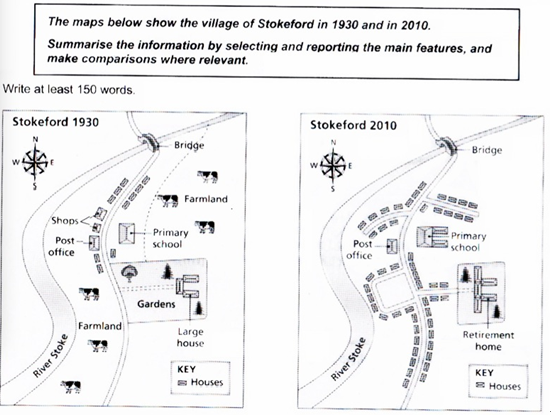 Illustrated in the map is how the village of Stokeford changed over the period from 1930 to 2010.
? As can be seen from the map, the village was unexploited and natural, with a north-south river in the west, which was crossed by a paralleled road in the north. A bridge was constructed over the intersection. Several shops and a post office were built along the western side of the road while a great number of houses, a primary school, and a garden with a large house inside were located opposite. Two expanses of farmland were situated on the two sides of the road. However, after 80 years, the village accelerated its pace of development, with more houses being established along the main road and its branches, replacing the original shops and garden. 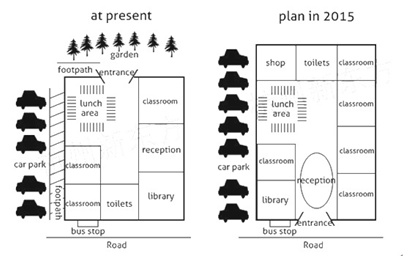 And also, the size of the primary school was expanded, doubling its previous scale. Besides, the former garden gives way for the newly-built retirement home. However, all the farmland disappeared.
? 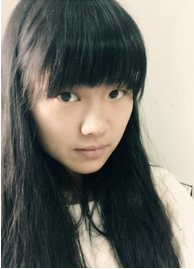 Overall, the village experienced a prosperous transformation and becomes a modern place for people to live.